TMS are exhibiting at the Seawork International Exhibition from 2nd July – 5th July, come down and see us for a chat & to enter our prize draw. 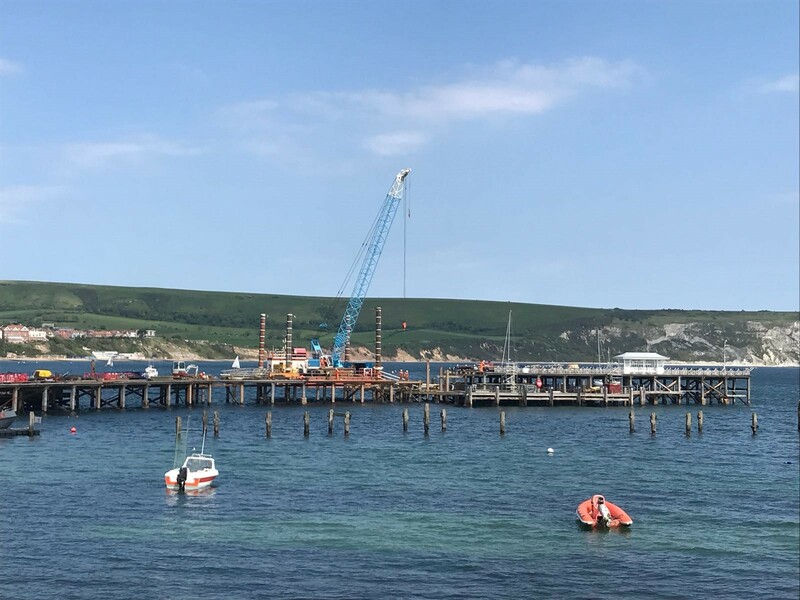 TMS Maritime are currently undertaking the repair works at Swanage Pier on behalf of the Swanage Pier Trust. 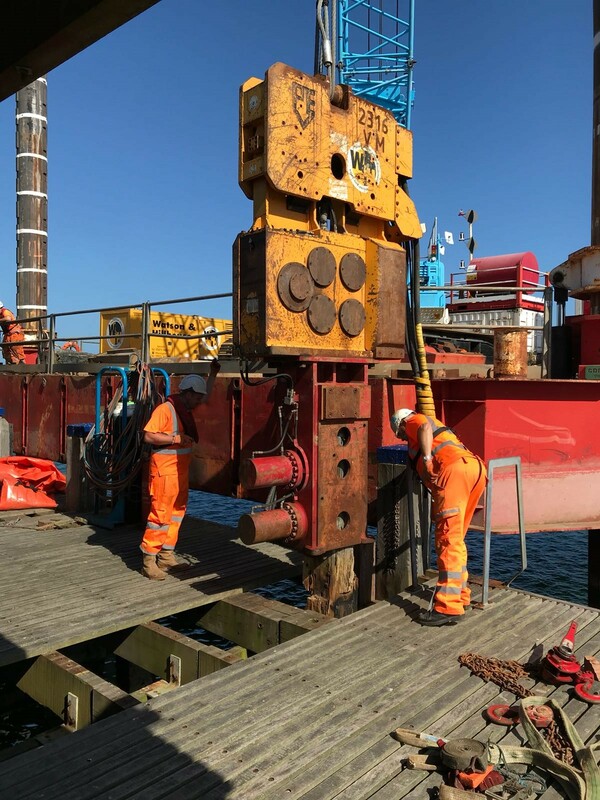 The historic Victorian timber pier requires the installation of new timber piles and the associated structural beams. 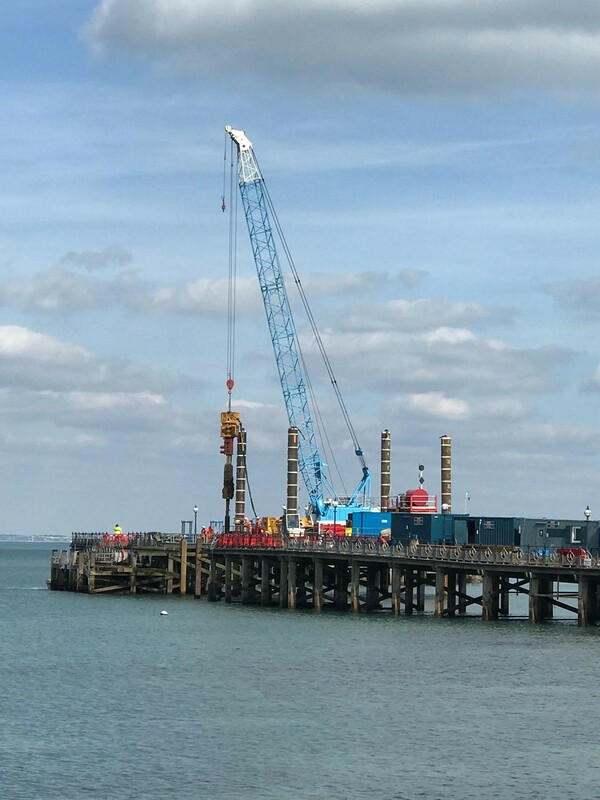 TMS has now completed the piling works, with a total of 42 piles installed. 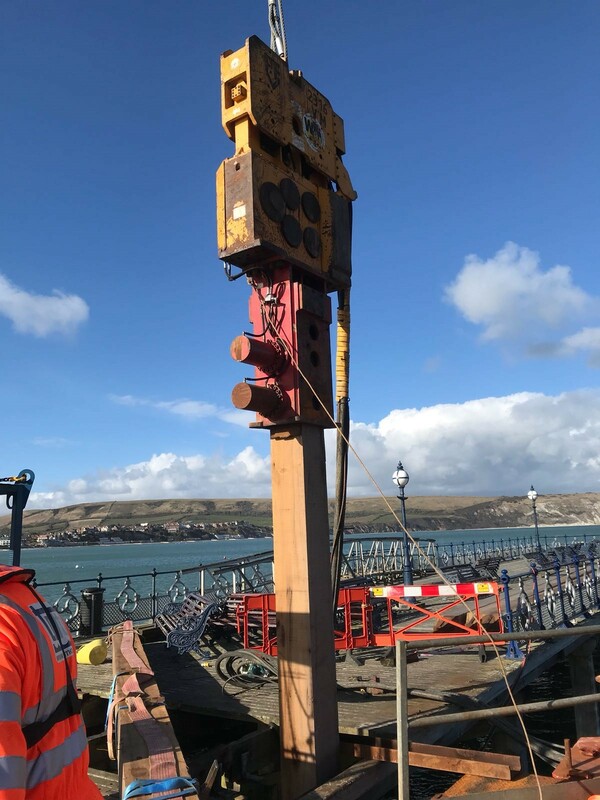 The reinstatement of decking, handrailing and furniture is largely all that remains on the main section of the pier, with a new area of decking and repairs to berthing walkways still required at the head of the pier. The Sea wall at Livermead had began to suffer major coastal wave action which in turn started the erosion process behind the wall. 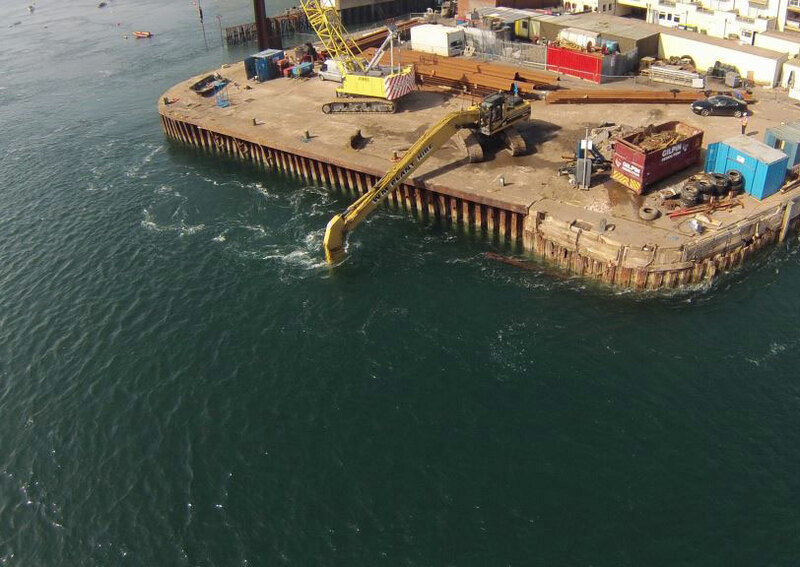 TMS were instructed by Torbay Development Agency to repair the damage. TMS Marine Operatives drilled & fixed L bars in to the existing wall, galvanised mesh was then installed ready to spray the concrete making the wall secure. The job was completed ahead of schedule and within budget.